You know those little things that make your day shine and are not really connected to you in any way? A colleague’s attitude, the way your workspace is organized or random surprises that your colleagues treat you to can make every day at work more enjoyable. Isn’t everything better when you have nice colleagues to work with? Let’s say your current job is just a means to pay your rent and you’re waiting for a dream job opportunity. But, whatever you’re doing you want to be appreciated for your work. And how can we judge a fish by its climbing skills? We can’t. The most important part of your work is feedback. No matter if it’s positive or negative (and then you will know what you have to change) feedback represents a very important instrument for measuring the quality of your work. Constructive feedback that gives you ideas for improvement can transform your day into a very productive and cheerful one. A smile never cost anybody anything and a day seems to go better when you are surrounded by colleagues that smile and are willing to help you anytime or just to hug you when you are not feeling ok.
Not anybody can brag about having a mentor at their job. A mentor is not only a teacher, it is the person that inspires you, the person from whom you want “steal” job know-how or hard-earned wisdom. We all feel very motivated do our job the best way we can when we have a good training program. You can receive better feedback, you can be more focused on your work and you can improve your skills when you know you’ll be rewarded. Brainstorming sessions where we challenge our brains to come up with a mountain of ideas underneath which lies a single brilliant idea for a project are both relaxing and exhausting. Even though it seems like a paradox, a brainstorming session can actually summon all the creativity that we are capable of. If all the people around us would be open minded we would all have something to gain. We bet you love free coffee or lunch, or free stuff included in your unique benefits package. Or maybe you prefer free gym or free parking. 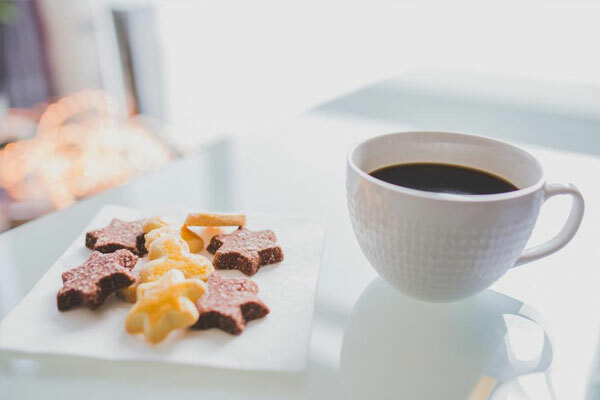 More and more employers are choosing to provide a coffee service in their office, gym memberships or stipends, lunches, or other benefits. Download our crowdsourced eBook and learn what triggers happiness at work around the world and across industries. Taking a break once in a while is the key to success. So, why wouldn’t you take advantage of your free time to revitalize your body and relax your brain cells? Wouldn’t your work environment be happier if you would have a room only for entertainment purposes? A room full of games where you can leave the stress behind? Short going-out-for-some-air breaks give you the perfect time to have a moment for yourself in which you can analyze your daily problems. In order to be productive, we need to be organized. The same applies to your desk, your files and, of course, your desktop. A clean workspace gives you a great push when you want to start new things or tasks. And a happy wallpaper should bring a wide smile on your face. Follow Hppy Apps’s board Awesome workplaces on Pinterest. White walls and uncomfortable chairs aren’t the greatest amplifiers for creativity. If you’re not getting the greatest results from your brainstorming sessions, surely the monotone work environment is a driver. A colorful room, with all kind of inspirational images on the walls, a comfy chair, and a hilarious rug will kick off that wild imagination of yours. What could make you happier than your own work kit? A personalized laptop, a colorful crayon support, an elegant agenda – all these little things are details that could change the way your day unfolds. Sitting at a desk all day long could have long-term negative effects on your health. And as we all know, unhealthy people are not happy. A chair that makes you feel relaxed can make work seem more enjoyable, especially when it comes to repetitive tasks. And isn’t this a great reason to be happy? A book found on your desk in the morning, which you asked to borrow just a few days ago can make your day be clear as the sky on a sunny day. You’ll be smiling all day, just waiting to go home and start reading. A tasteful jasmine tea or an energizing coffee with plenty of milk can indeed be the reason you keep fighting at the office on a cloudy day. Lunch break is also very important: your brain has a small amount of time in which it can catch a breath and you have the perfect chance to taste something good to brighten your mood and feed your brain. Chillout music for quiet days, soft dubstep for lazy moments and “Lana del Rey forever” says one of my favorite colleagues. And she’s always right. What can be better than that special moment when one of your colleagues brings a box full of chocolates and they’re willing to share it with you? Or a big platter of home-baked cookies with apples and cinnamon? Do you know those moments when you are the only one in the office (hopefully not after hours), and you are looking around and there is no one at all? Friday is a magical day when open-minded colleagues are coming up with funny smart jokes that continue over casual drinks into the weekend. What other small things make you happy during working hours? thanks…we should maintain in this way to make n feel the office environment more awesome. I will follow it. The pursuit of happiness is so crucial that we try a lot of motivational strategies to make our employees productive. Happy employees tend to work efficiently and effectively since they emit positive energy, it is for this reason why they have to have proper compensation in order for them to enjoy and love their respective job. If the employee is in the state of being happy, he/she is thrice innovative. These 25 little things can really make them feel important and they’ll be dedicated to their respective work. I couldn’t agree more! Thanks for joining the conversation and I’m glad you found the article useful! I love the phrase ” Dont Count the Days Make the Days Count ” and the creating of happiness culture in the workplace should become a graet adventure for all who is in pursuit of happiness. I’m really someone that is a free spirit and desire to relate with people more, but then I have colleagues who like to pick at every little detail about me and tease me on it. This does not make me happy. Sometimes, I try to overlook. And sometimes I assert my feelings. But they don’t change. How can I still making a happy working relationship in the office despite these? Hi Henrietta! I think it’s important to have an open discussion with your colleagues on what your expectations are of them and vice-versa. Delving into an honest discussion about what makes the workplace enjoyable for everyone is the only way to align your points of view. Try to get some actionable items from this discussion. If nothing changes afterwards, try to stay true to what makes you happy or find someplace where you can enjoy working and being yourself. Great post Paula, thank you for writing. We are hyper focused on this topic where I work. Really good tips. It’s not natural to sit in a chair for hours on end and stare at a computer screen. We must try to remember our eyes, muscles, and social needs – among other things. Like anything else, balance is important at work, and that includes balancing intense focus with periodic disengagement and consideration for our immediate health and happiness!